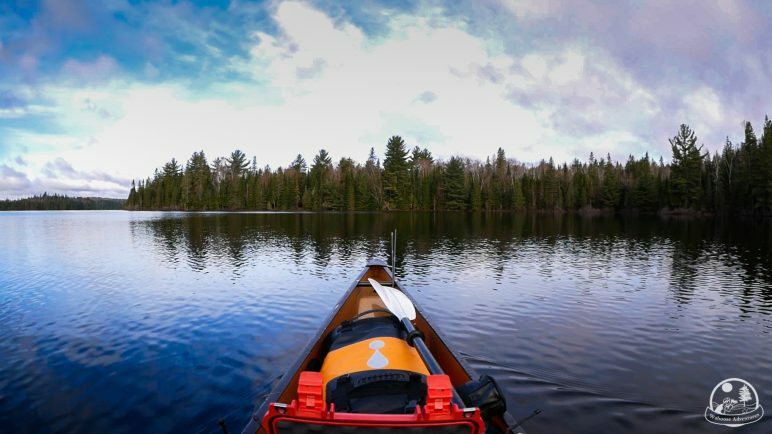 I had been thinking of going on my first solo canoe trip for a couple of years, but what I kept getting hung up on was how to paddle out there on my own. I don’t have any certifications in solo canoeing, and I’ve only ever paddled tandem. I have tried paddling solo, but kneeling in the canoe it isn’t very comfortable, especially if you’re paddling a few kilometres at a time into the backcountry. 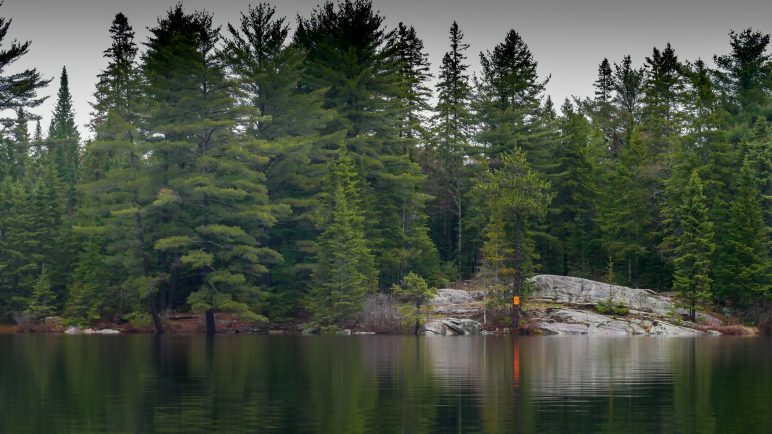 I called Algonquin Outfitters (AO) to ask about what options would be available to me based on my solo paddling experience (or lack there of). It was suggested that I try a pack-style canoe where the canoe paddles like a kayak, but has the room of a canoe. After talking with AO, I felt more comfortable about paddling solo. 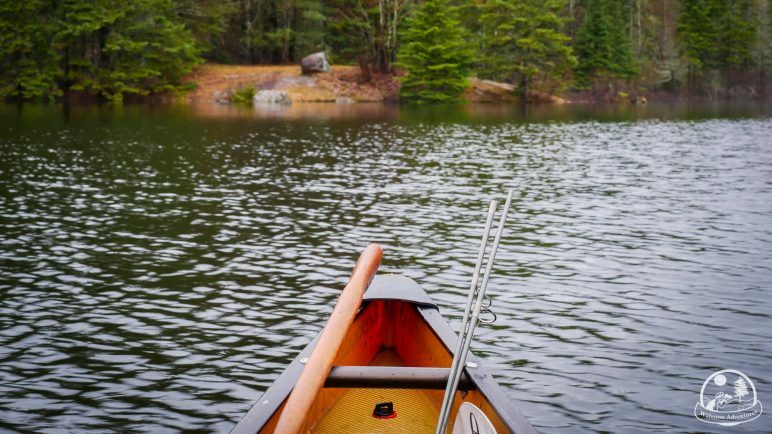 Sitting down in the canoe with all my gear would make the canoe more sturdy, and using a kayak paddle would be easier for correction strokes. After pushing off from shore on Canoe Lake, it wasn’t long before I felt completely comfortable in the Swift Keewaydin 15P (solo pack canoe). Getting in and out of the canoe was easy too when using the kayak paddle as a brace across the gunwales. This particular canoe can also come with a detachable yoke so you can store it in the canoe when paddling, and clamp it on when portaging. Now that I know how easy it is to paddle and portage this type of canoe into the backcountry, I plan on doing more solo canoe trips. AO has other options as well for solo canoes. 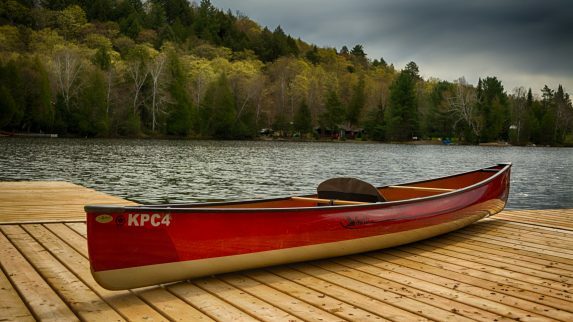 They have Swift Keewaydin 15 and Shearwater 16 traditional solo canoes, and Chestnut 15 cedar-canvas canoes. 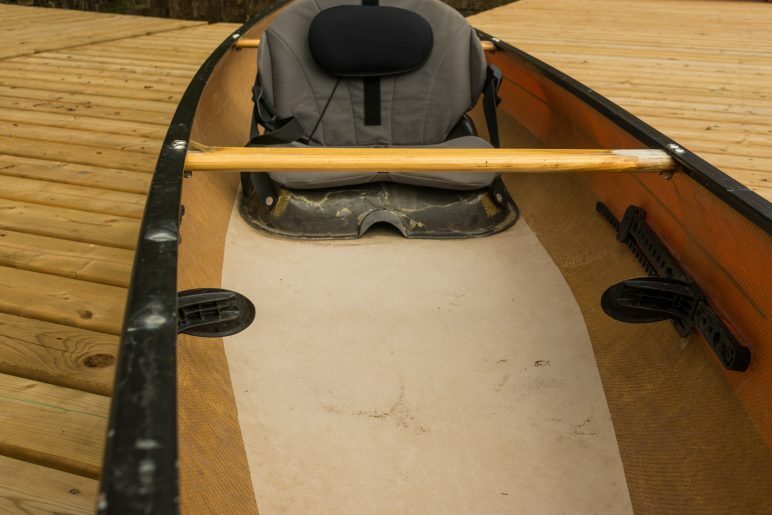 More information and photographs of the different types of solo canoes can be found on AO’s Rentals Page. Watch the full video by clicking this link. Paddling a Swift Keewaydin 15 pack-style solo canoe. 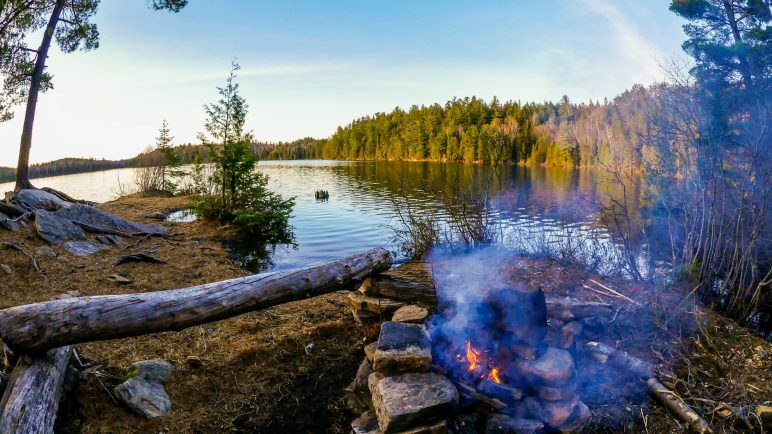 My first solo canoe trip in Algonquin Park's backcountry. 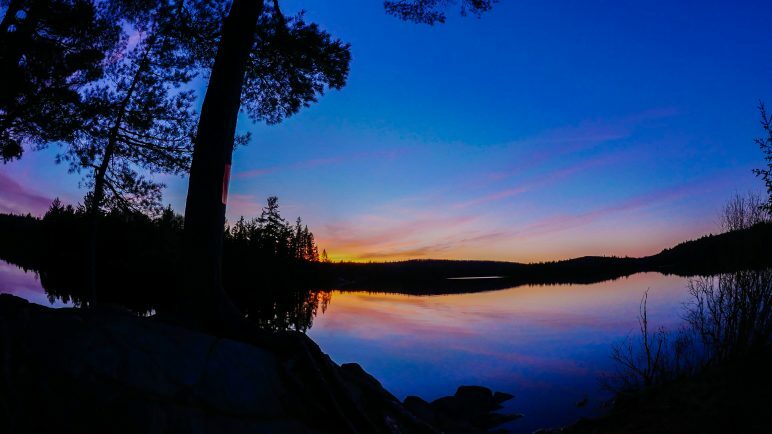 Cobi Sharpe is a photographer, blogger and outdoor enthusiast who enjoys canoeing, backcountry camping, and hiking. She writes her own blogs at Waboose Adventures about connecting with nature, adventures, and landscape, nature and wildlife photography.